Diane von Furstenberg’s eponymous label is turning forty and what better way to celebrate than to by looking back? With a vibrant, colorful and super sweet collection she seemed to pay a tribute to her biggest success, the wrap dress. Inspired by Fortvna, after the Roman goddess of luck and the subject of the first painting Von Furstenberg ever bought it-girl models of the moment paraded in a selection of printed numbers. 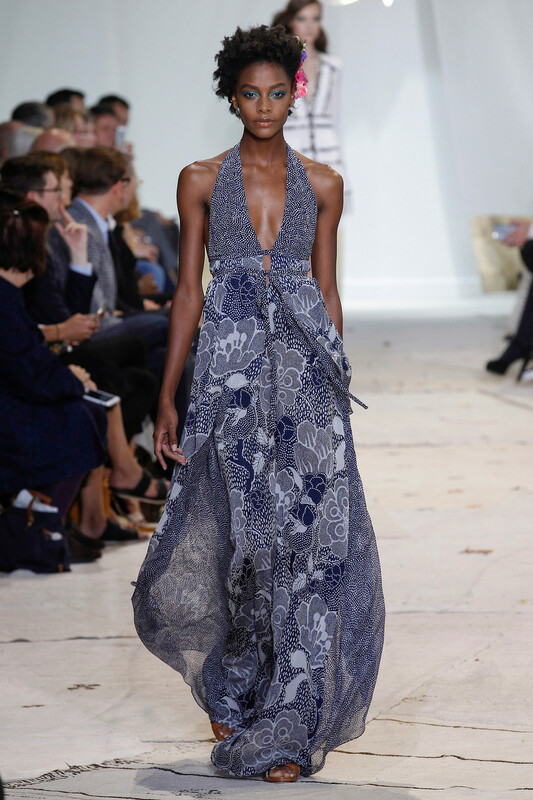 Like a multi printed wrap dress Karlie Kloss opened the show in. Or a silky jumpsuit shown by Ondria Hardin. 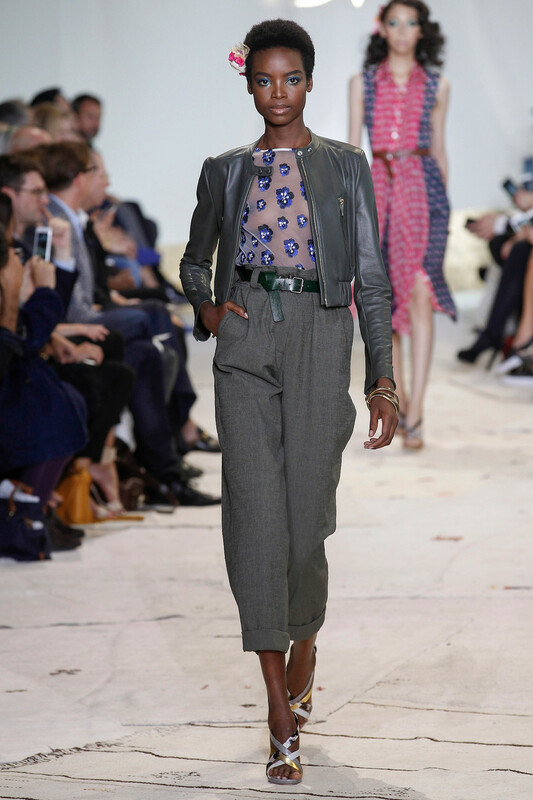 Not to mention the ruffled, belted ensemble that made Anais Mali’s gorgeous skin look even more flawless. The show could have done without a few golden butterfly embroideries. But luckily there were some leather pieces, leopard lining and black sheerness to give the girly-cute collection a little bit of an edge. Because especially with every girl sporting blue eyeshadow and wavy hair with a big flower in it the sweetness of this show might have hurt our teeth just a little bit.